With the announcement of the Dow’s Vintage Port 2011 by Wine Spectator as the wine of the year for 2014, fortified is back on top of the extant pop heap. The number one ranking in the magazine’s annual Top 100 list of the most exciting wines is a big financial deal and another arranged feather in the Symington family’s cap. The region’s single biggest landowner just put on some extra weight. In wine, Vintage Port is about as specific as it gets primarily because for it to exist and prosper beyond the fossilized fringes of the genre, everyone in town must be on board. For the first time since 2007, the 2011 vintage was universally declared across the Douro. If the makers and pundits were polled, would it be proclaimed the greatest vintage of the century or, perhaps one of the best ever? The 95-plus scores from the top commercial critics, including more than a handful of 99’s and 100’s would lead us to believe that were the case. An excited Jancis Robinson wrote “could 2011 be the vintage to put vintage port back on the fine wine map? I do hope so. 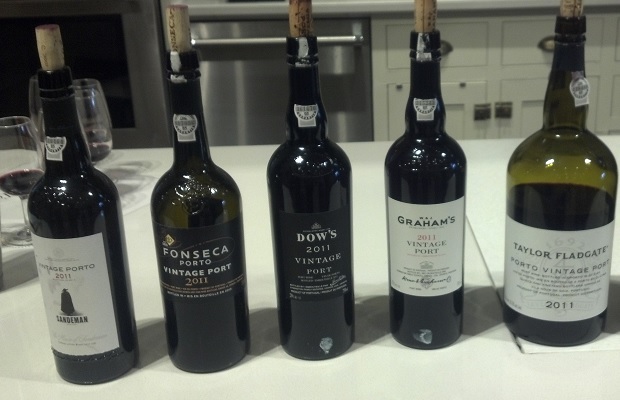 I have never been as excited by the launch of a clutch of vintage ports.” Dow’s was not on Robinson’s “super-stunning list,” which included Fonseca, Graham, Quinta do Vesuvio, Capela Taylor and Vargellas Vinha Velha. Jamie Goode noted that “overall, the quality is very high indeed. I found the wines quite vinous and pretty, with very direct fruit and lovely purity.” When tasted from cask, Niepoort 2011 was Goode’s top scorer (98 points). Dow’s was well down the Goode line. WineAlign‘s Julian Hitner, a.k.a. The Successful Collector declared 2011 a stunning and fabulous vintage, “one of spellbinding treats.” Hitner also awarded the Dow’s 99-points. Wine Enthusiast rated nine 2011 VP’s 95, nine at 96 (including the Dow’s) and eight more at 97 or better. Decanter took a lower road and was the scrooge of vintage point doling, having chosen Fonseca as their top rated Port, awarding it 19/20 or 96-points. Then there are the top ten reasons to buy 2011 Vintage Port according to the Fladgate Partnership. Vintage Port does not always find itself at the top of the wine tasting note compendium replete with descriptors like graceful and elegant. “Just too goddamn vivid,” is more like it. Sometimes there is such a thing as too much of a good thing. Massive fruit and tannin is all well and good if that’s your cup of bomb tea but without balance, all is lost. The 2011 Vintage Ports have balance, well, the best do, but they are, and I speak in very general terms, collectively over the top. Though it may seem an oxymoron to put Vintage Port and elegance in the same sentence, what is a great wine without a sense of humility and restraint? There are some remarkable examples. The VP’s in ’11 that stress the aromatic notions of perfume and florality strike the finest balance, despite their high-octane levels of fruit and texture. Others’ heads are just too big for their bodies. I am not as high on 2011 as you might think I should be. One of the fortunate pleasures of writing about wine and directing a wine list in Toronto is being invited to taste with Robin Sirutis and Julie Hauser of VINTAGES. 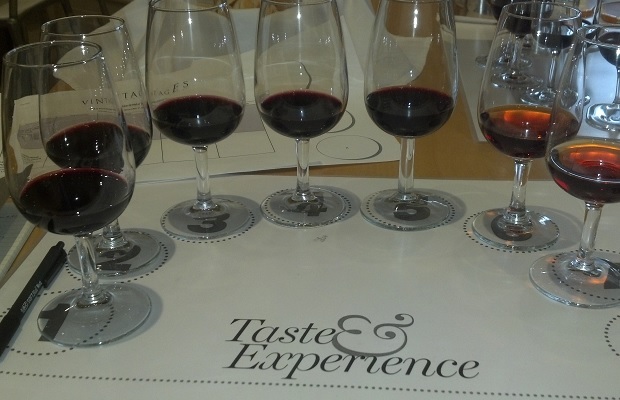 On Monday, November 3rd they held a horizontal tasting of 2011 Vintage Port at the LCBO’s Summerhill location. The bloody vivid 2011 Vintage Ports. Here are the notes. This entry was posted in Douro, Port, Portugal, VINTAGES, VINTAGES Classics, VINTAGES Releases, WineAlign, Wines Tasted and tagged Alcoholic Beverage Manufacturing, Beverage Manufacturing, Beverages, Culture and Lifestyle, Dow's, Drinks and Beverages, Fonseca, Food and Beverage Sector, Genesis, Graham's, Jamie Goode, Jancis Robinson, Julian Hitner, Michael Godel, Sandeman, Sousao, Spoon, Tasting Notes, Taylor Fladgate, The Smithereens, The Verve, The Wine Anorak, Touriga Franca, Touriga Nacional, Van Morrison, Vineyards and Winemakers, Vinha Velha, Wine, Wine Enthusiast, Wine Spectator, Winemaking.